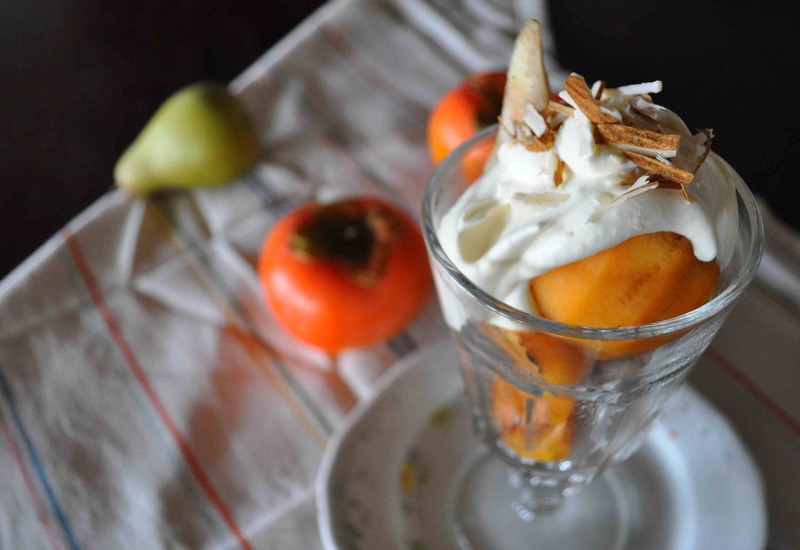 This entry was posted in food & recipes and tagged cream, dessert, food, fruit, pear, persimmon, recipes, vanilla, winter. Bookmark the permalink. Hi! 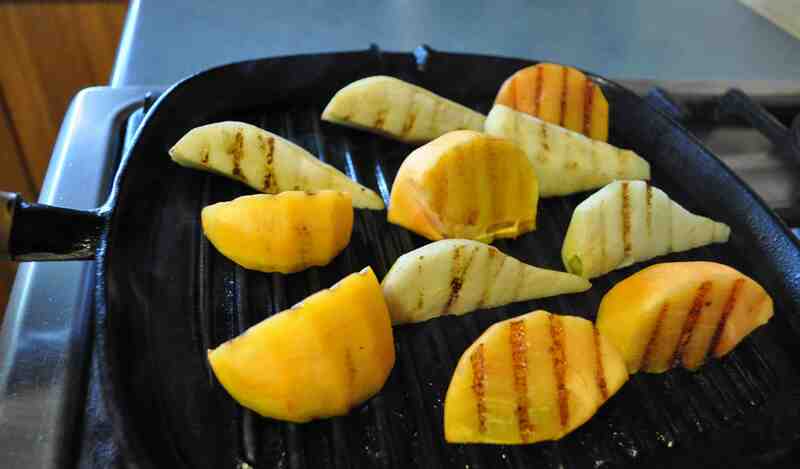 I never knew you had persimmons in the backyard, and I didn’t see them in Italy! What time of year are they ripe there? 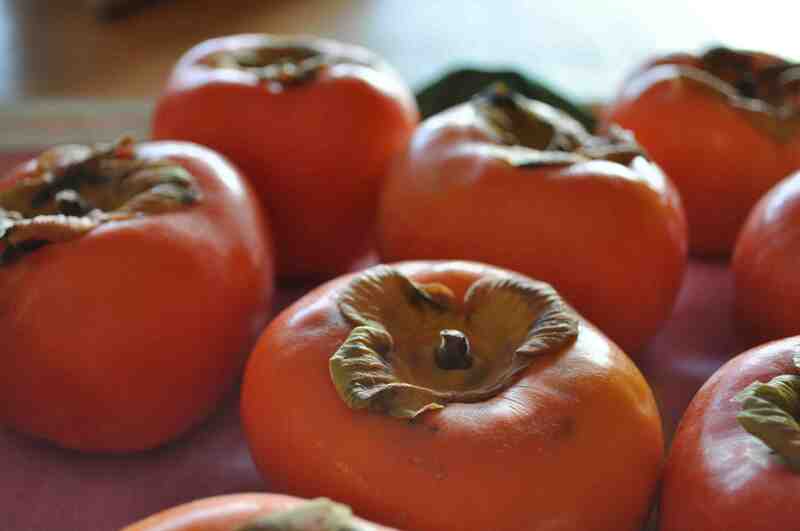 These persimmons were the Japanese Fuyu variety. I’m not sure if they were just under-ripe but they were really crisp and crunchy (in a good way) so the texture was good. Maggie Beer once did a persimmon recipe that just involved freezing a super ripe persimmon and then serving it with some amaretto, mascarpone and honey. The recipe is on the Cook and the Chef website and looks amazing. If any of our persimmons get that ripe I’m going to try it!